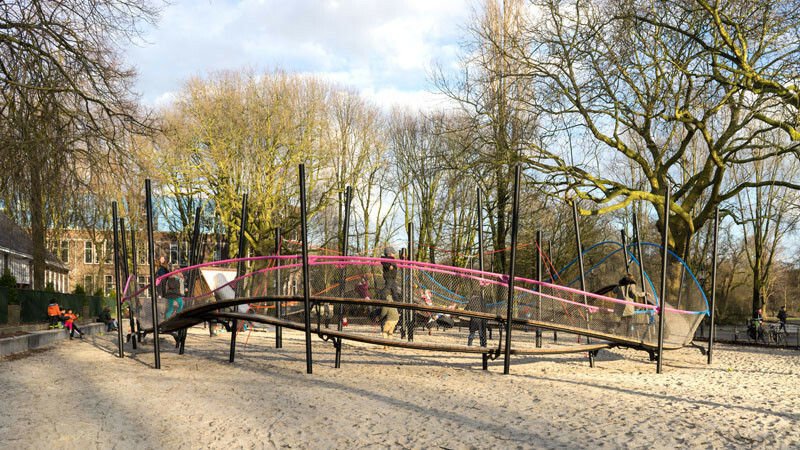 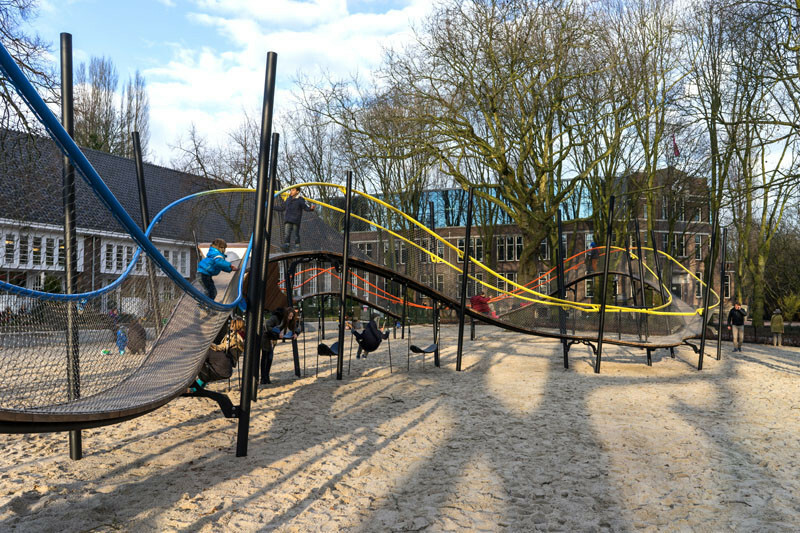 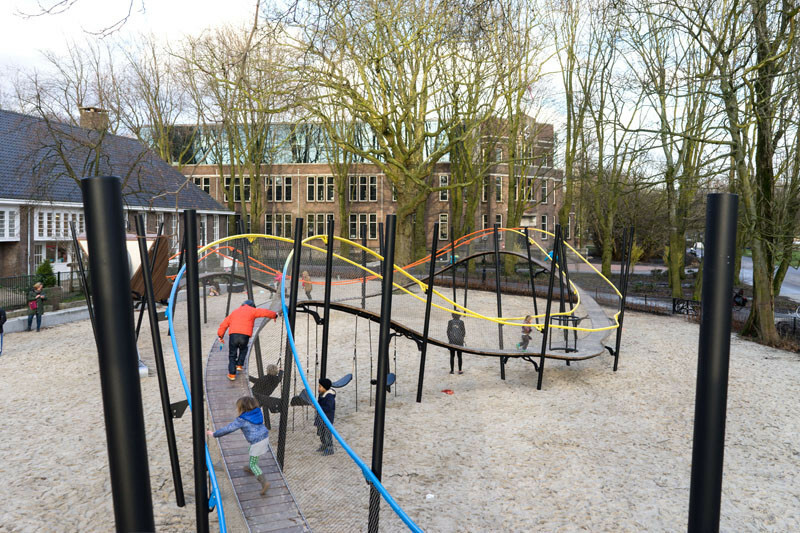 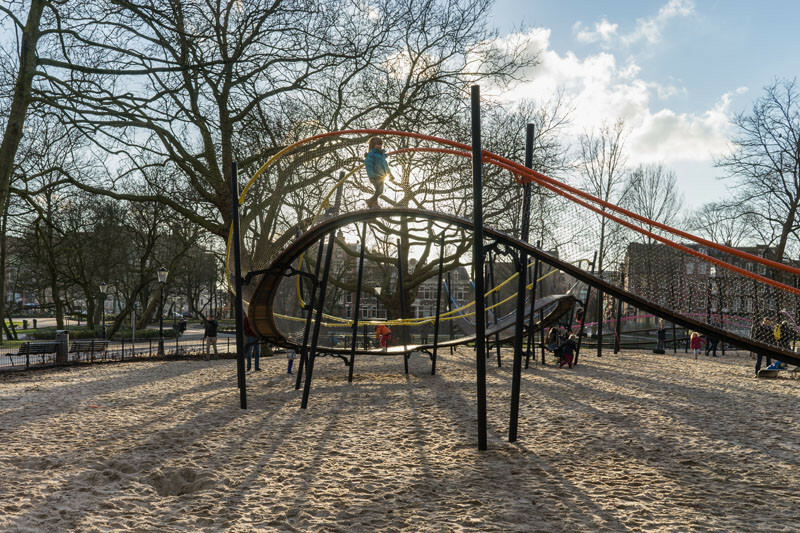 This new children’s playground that’s like a winding rollercoaster is tucked away in the north-western corner of Oosterpark in Amsterdam. 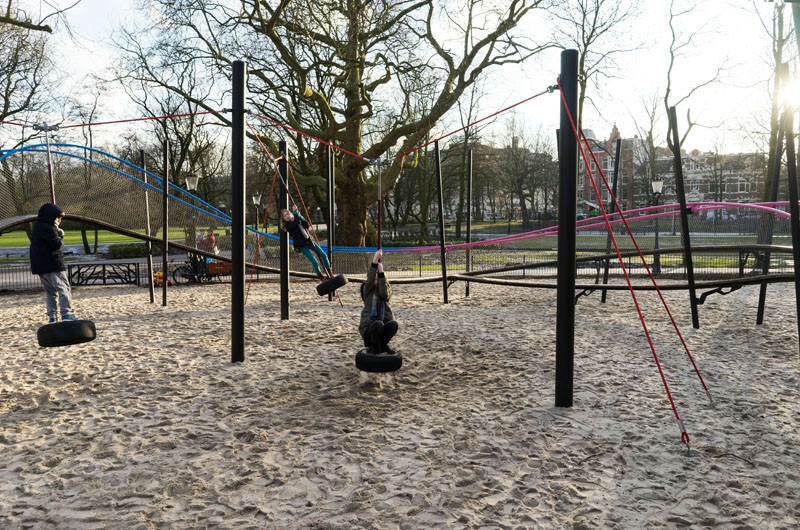 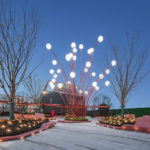 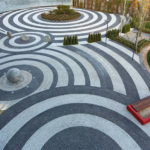 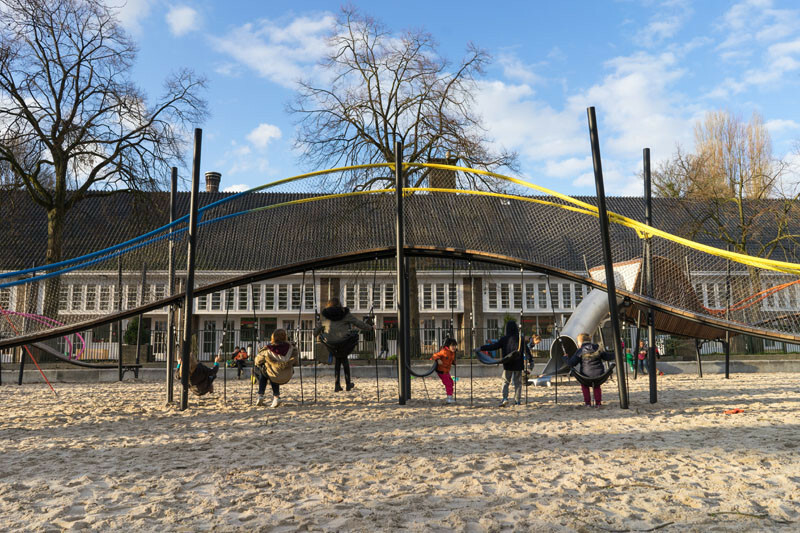 Given the name ‘Play Garland Oosterpark‘, the playground was designed by landscape architecture firm carve. 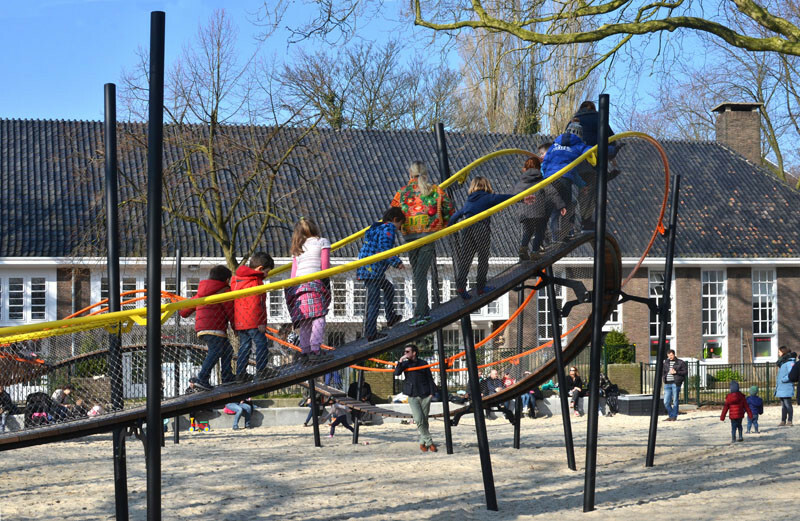 It rises up and dives downwards with twists and turns that the children can run along. 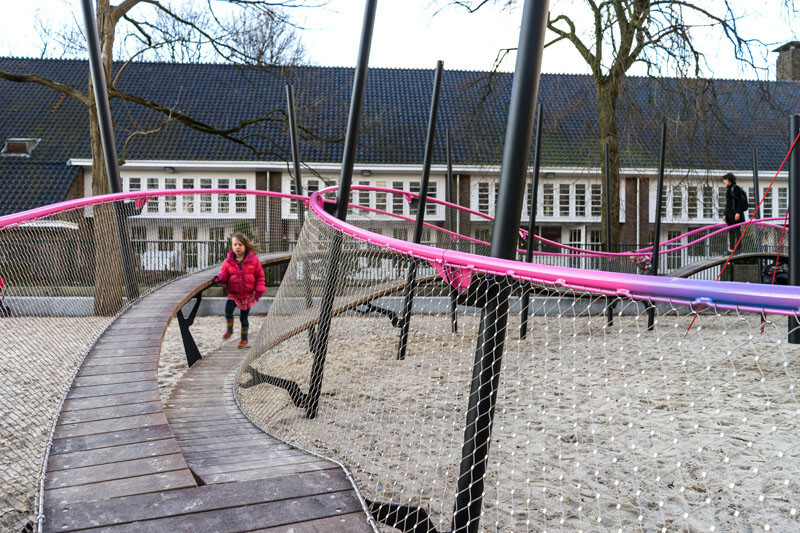 Beneath the raised sections, are small hammocks for the children to sit and swing in. 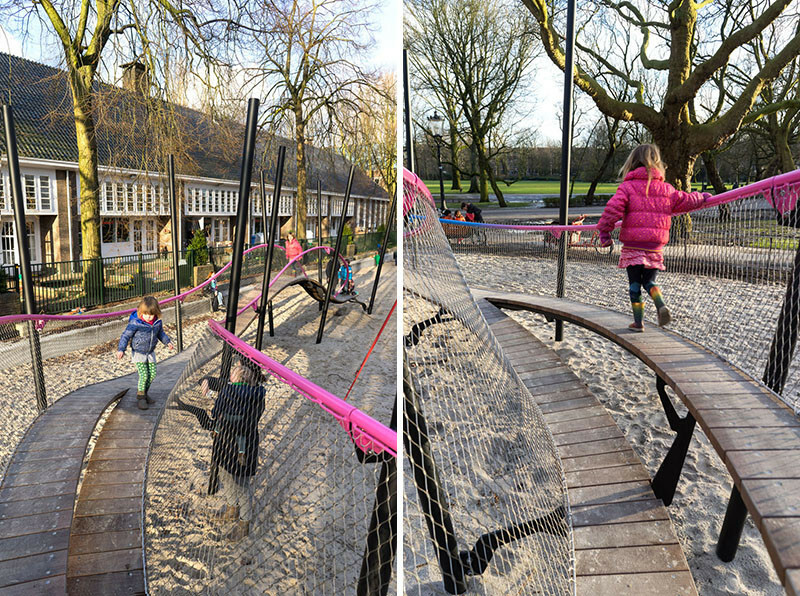 In another area of the playground there are tire swings suspended between supports. 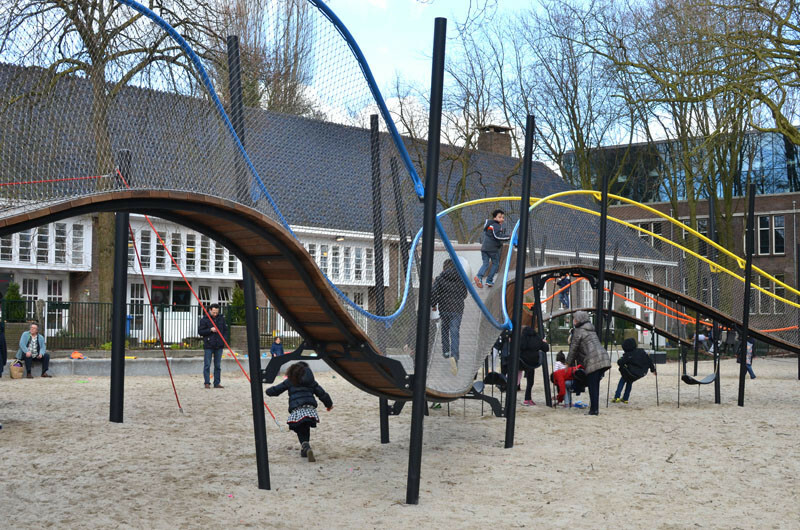 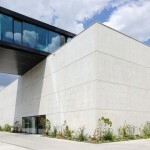 Due to the design of the playground, more than 100 children can play on and around the structure. 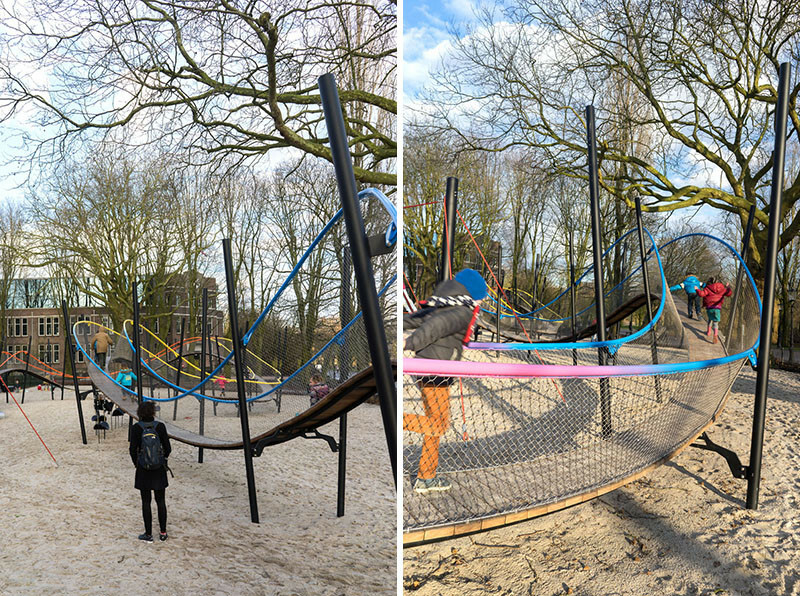 The elevated structure also has split level paths, on the steep sections the path becomes a slide, and in another section it transforms into a tube slide.